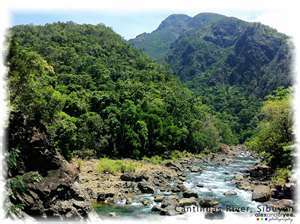 Much of the area consists of mountainous ranges and steep heavy coastal sides that characterize the islands; beaches flow out to grassy hills which in turn fade away to rugged rocks and impassably obstacles. Tablas Island is the largest of all and like the area is mountainous and looks bare to the eye. 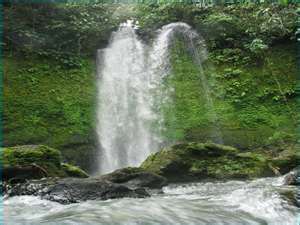 Mainit waterfalls was located on Tablas Island, a popular attraction for tourists, although, it’s a private property visitors are always welcome. Cabanbanan Dive & Beach Resort Agtongo, Cellphone 0910-2837612. Cantingas River Resort – A natural swimming pool and the water is cold, crystal clear and ever-flowing where one can quench his thirst while swimming. Around 4 kilometers away from Poblacion. It has a cottage with a conference hall.